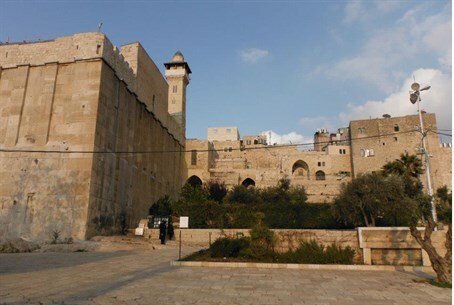 Jews pouring into ‘City of the Patriarchs’ for annual Sabbath event. Many thousands of Jews from Israel and around the world have been making their way to the city of Hevron since Friday morning. Hevron, known as “the city of the Patriarchs,” will be the site of a festive Sabbath gathering in honor of the Torah portion Chayei Sarah. The Torah portion describes the Biblical patriarch Abraham’s purchase of the Machpelah Cave in Hevron as a burial site for his wife Sarah. According to Jewish tradition, Abraham, Sarah, their son Yitzchak (Isaac) and his wife Rivka (Rebecca), and Yaakov (Jacob) and his wife Leah are all buried in the cave. The IDF and police have sent extra forces to the city to maintain order. Noam Arnon, spokesman for Hevron’s Jewish community, told Arutz Sheva that the entire community is working to make the Sabbath go smoothly. Ministers, MKs and other public figures will be among the guests. Other visitors are arriving from overseas. “We’re happy to host the entire Jewish nation,” said Arnon. The Sabbath will be “emotionally powerful, and entertaining,” he added. Each year, more Jews want to come for the Sabbath event, he said. Unfortunately, he said, severe limits on Jewish building and Jewish home purchases in the ancient city mean the number of people who can come is limited. “The minute we’re able to build here, we’ll have 100,000 people,” he declared. Housing Minister Uri Ariel called this week to double the number of homes in Hevron's Jewish neighborhoods.